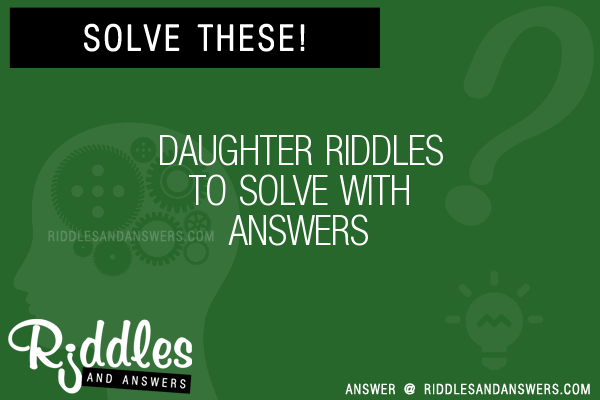 Here we've provide a compiled a list of the best daughter puzzles and riddles to solve we could find. The results compiled are acquired by taking your search "daughter" and breaking it down to search through our database for relevant content. What Am I To Teresa? I was visiting a friend one evening and remembered that he had three daughters. I asked him how old they were. The product of their ages is 72, he answered. Quizzically, I asked, Is there anything else you can tell me? Yes, he replied, the sum of their ages is equal to the number of my house. I stepped outside to see what the house number was. Upon returning inside, I said to my host, Im sorry, but I still cant figure out their ages. He responded apologetically, Im sorry, I forgot to mention that my oldest daughter likes strawberry shortcake. With this information, I was able to determine all three of their ages. 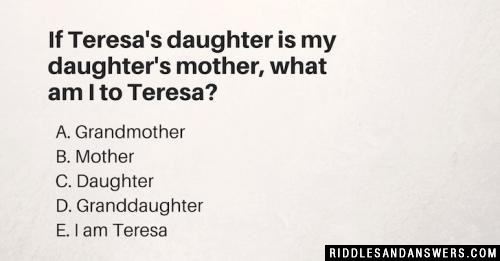 How old is each daughter? The house number alone would have identified any of these groups. Since more information was required, we know the sum left the answer unknown. The presence of a single oldest child eliminates 2 6 6, leaving 3 3 8 as the only possible answer. Gretchen and Henry were discussing their new neighbors, the Gardners. Gretchen mentioned that she met two of the daughters, and they each had blond hair. "I have met all of the sisters," replied Henry, "and the probability that both of the girls you met would have had blond hair, assuming you were equally likely to meet any of the sisters, is exactly 50%. 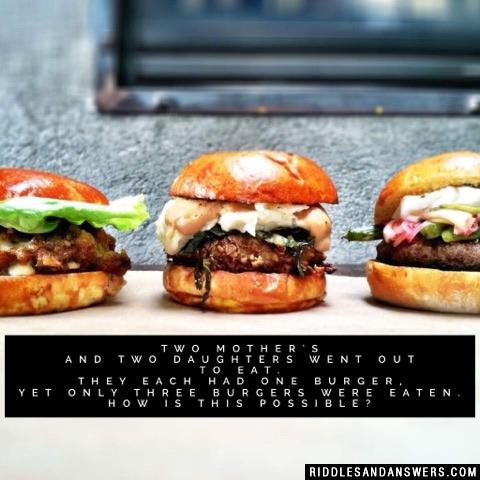 Do you know how many children there are?" 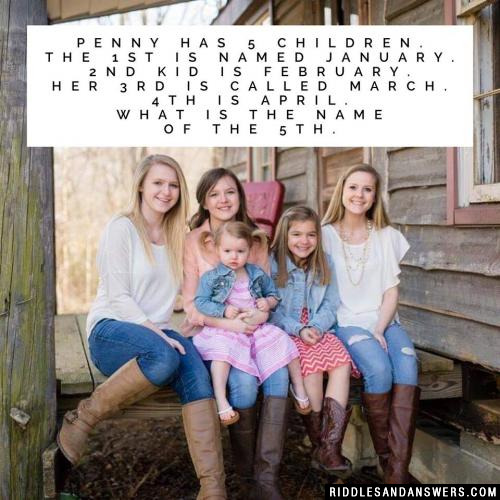 After thinking for a minute, Gretchen asks if the family is abnormally large. When Henry replies that it is not, Gretchen tells him how many girls are in the family. What number did she say? Gretchen said that there were 4 girls in the family, three of whom were blond. 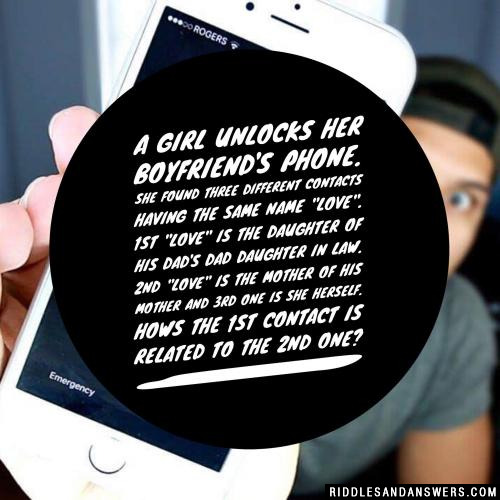 This would make the probability that she saw two blonds (3/4) * (2/3), which equals 1/2. 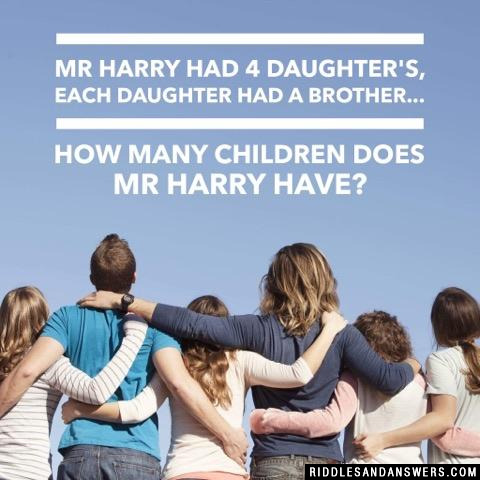 Other numbers would work, but the next pair would lead to a rather large family. Father offered a gift to his Daughter and told her "If you feel hungry, you may eat it. If you feel thirsty, you may drink it. If you feel coldish, you may burn it." So, what is that gift that father presented to the daughter? Mr and Mrs Smith went for a picnic. 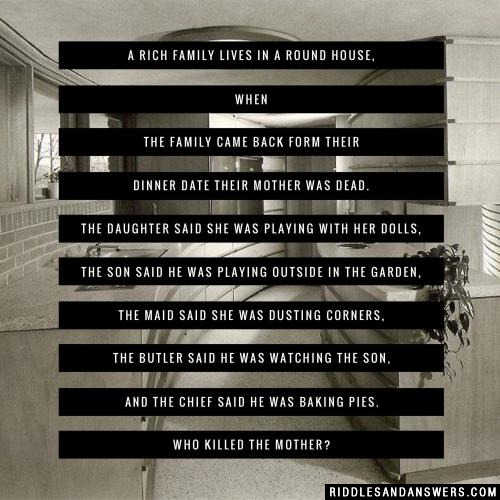 Mrs. Smith has 5 sons and each son has a sister who has 5 daughters each of whom have 1 brother each. How many of them went for the picnic? It is stated clearly that Mr. and Mrs. Smith went for a picnic. It does not say that the others accompanied them.